Nickelodeon’s “Danny Phantom” revolves around a teenage boy, Danny Fenton, who is able to “go ghost” after an incident in his parent’s ghost lab. In his ghost form, Danny has a wide variety of abilities, such as flying, going through objects, human possession, invisibility, enhanced strength and more. His closest friends, Tucker and Sam, were the only ones to know his secret since the beginning. When you were a kid, have you ever wanted to be a scientific mastermind? Well, Jimmy Neutron possesses that trait. His intellectual curiosity allows him to create various types of inventions. In each episode, one of his inventions seems to dysfunction and cause many problems. When faced with a critical problem, he urges himself to solve the problem and shouts “Brain Blast!” when he finds a solution. 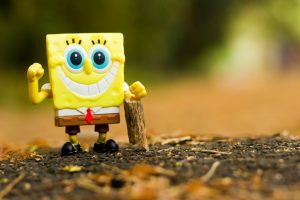 SpongeBob SquarePants is a childhood classic that still entertains children, teens and adults today. PHOTO VIA FLICKR USER ANOOP KUMAR. explanatory from its title: a Grim Reaper’s adventure with a dim-witted boy named Billy and a cynical girl named Mandy. The Grim Reaper’s scythe enables him to go through supernatural locations and with it, many adventures were to be had. The Nickelodeon show, “SpongeBob SquarePants,” was one of the longest running shows of my generation. It centers on SpongeBob SquarePants, an energetic sponge working at The Krusty Krab. SpongeBob interacts with many unique characters, such as his best friend Patrick, his boss Mr. Krabs and his co-worker Squidward. A boy named Ben Tennyson finds the Omnitrix, a watch that allows him to mutate into 10 distinct aliens. Alongside his grandfather Max and cousin Gwen, Ben uses this device to save people from disasters and defend himself from bad aliens. The plot in this particular show delves deep into the lore of the Omnitrix, which makes the show very interesting to watch.